DigiTimes says the widely anticipated 15" MacBook should ship during the April-June quarter, giving those who need the ruggedness of the MacBook but the screen size of the MacBook Pro a perfect option. 15" MacBooks to Coming in 2nd Quarter? Your Laptop's Optical Drive: Washed-up Has-been or Reliable Standby? "Prices for the 15.4-inch MacBook models are likely to be more competitive than their 13.3-inch counterparts, due largely to the relatively lower cost of 15.4-inch LCD panels...."
"What put my Mac purchase in automatic was the recent IBM announcement to support Linux and Macs...."
Link: Perrien Just Got a MacBook - What Took Me So Long?! "I was using my MBP [MacBook Pro] last week when the fan came on. I wasn't doing anything unusual in terms of computing power, so I thought it odd, especially since I hadn't heard the fan come on in the two plus months I had been using it. Then I felt the bottom of the machine, and that sucker was hot to the touch. "I shut down the machine as a precaution, waited for about a half hour and turned it on again. After about 20 minutes the fan came on again and I called Apple iCare. "I explained that I generally work with the MBP on my lap with a lap pad from Laplogic to protect me from heat (which is why I didn't feel the heat more acutely). I was then told that the MBP was not intended to be used on the lap. "'It's a notebook,' the technician told me, 'not a laptop.'" "I have had a MacBook Core 2 Duo (Late 2006) since early January 2007. On February 18, I came back into my office to find it off, which was odd, because I never turn it off (I usually put it to sleep). "It has done this half a dozen times in the 24 hours since, and I can rarely work on the machine for more than an hour. "This was an acknowledged problem with the original MacBook, and has become known as 'Random Shutdown System'. Apple released a Firmware Update which purported to fix the problem. This update is not recommended for new (Late 2006, Core 2 Duo) MacBooks. According to the MacInTouch Reliability Survey the C2D MacBooks do not exhibit this problem, but this MacBook would seem to disprove that theory." "With the introduction of APX 802.11n base stations, Apple announced that the majority of its current machines are compatible with the draft of that standard via a drive update. On the other hand, the MacBook and MacBook Pro Core Duo aren't likely to get compatible AirPort modules. For Apple, these machines are condemned to always remain at 802.11g. "This is even more annoying if you buy one of the new base stations and decide to run in a mixed g and n wireless mode, because in this instance the performance in g will be degraded. Being in this exact situation, we decided to look at the possibility of placing a 802.11n card in a MacBook Core Duo. Though there was one problem: The Core 2 Duo models now have 3 antennas instead of the 2 in the preceding models. We were worried about having problems as a result of finding a module with 3 antenna connections and leaving one vacant. "So we were shocked to find that the MacPro's AirPort card which is also 802.11n compatible had only 2 antennas." "Also setting the new model aside from its existing counterparts, those same people say, may be the conspicuous absence of an optical disc drive. Although Apple's original plans for the notebook called for its inclusion, reports are that the daunting ergonomics have recently driven company engineers to make a concession, forming yet another parallel between the new notebook and the defunct PowerBook 2400. No optical drive? thought I. Not bloody likely." Link: Your Laptop's Optical Drive: Washed-up Has-been or Reliable Standby? "There is always a slight chance that the pixel is dead for good. But 90% of the time it can be fixed. Don't be discouraged if this method doesn't work right away - you just have be patient and keep at it a while." "There's been some talk 'round these parts about a series of how-to type articles and while that sounds great and all I just got back from an extended stay in Asia and I feel such a project would necessarily require a balancing counterpart - how-not-to articles. "This started out as an attempt to combine two broken half broken iBooks into one working iBook which my folks could use when they travel. Utilizing my training as a certified Apple repair technician I was able to successfully remove the screen and trackpad from one iBook and place them in the other to create a fulling [sic] working, good as new iBook. "Okay that's a lie. I'm not a certified Apple technician, but I was able to convert my two half-broken iBooks into two completely broken iBooks. Read on to find out how I did it." "Anyone who uses a laptop computer will know just how hot they can get. This overheating can sometimes cause injury, and may even reduce male fertility, if a user fails to notice how hot their machine is getting. "Intel is patenting a solution which uses light to sense when a computer casing is getting too hot, and automatically 'throttles back' the power. "Since heating is uneven inside a laptop, with hot spots occurring near power-hungry components, ordinary thermometers are an unreliable way to determine whether someone is risking a scorched lap. Instead, Intel reckons a simple light sensor could provide a much better early warning system." PR: PowerBookResQ announced Friday that they have renamed their business to iResQ. This rebranding will simplify the recognition of their repair programs and will provide room for growth into new markets. They have a new look, offer additional next-day Macintosh Portable Computer repair services and have a cleaner website design to go with the new name. PowerBookResQ performs next-day MacBook, MacBook Pro, PowerBook and iBook repairs. They have always provided the easiest and quickest repair services to their customers and the baseline of their repairs includes pickup and delivery of the customer unit. Until recently the company has provided services for iPods, PowerBooks, iBooks, and MacBooks under several different division names and moving forward they will continue to provide their current line of premier next-day services while expanding with new services on even more products. During the rebranding they have expanded their repair operations and are now offering 3 tiers of service. PowerBookResQ set the market by offering a $99 service that included 3-way overnight shipping. Moving forward, iResQ will continue that same level of service at the same price and add 2 additional service levels at just $49 and $29. "Since 1994, we've been known as MacResQ," said Ryan Arter, President of iResQ. "Then we slowly added divisions: PowerBookResQ, PowerMacResQ, iPodResQ, and MacBookResQ. In an effort to help eliminate confusion, iResQ was born. It's our new all-encompassing brand that is a culmination of years of hard work and consolidation. In times past, it was beneficial for us to have our domains separated to target specific markets. However, we are planning new services and the confusion about "Who we are" is growing. Our plan is to simplify this and we hope that iResQ will be easier to remember, easier to type and easier to locate. Our mission stays the same. As we pioneered the next-day iPod and Macintosh Portable Computer repair programs, we'll continue to add next-day services as the market demands." For computer resellers and repair centers, iResQ offers discounted rates on products and services. Computer dealers can send overflow service work or seamlessly outsource their entire iPod or Macintosh Portable repair operation. Volume discounts are available for schools and government agencies. iResQ (formerly MacResQ) was founded in 1994 with the premise that there is a better way to purchase, maintain, upgrade and repair your Mac. iResQ customers realize extreme value by using any of their premier nationwide, next-day turnaround services in the U.S.
www.iResQ.com is the place where price barriers are destroyed and support for all makes and models of iPods and Macintosh Portable Systems is available from people who enjoy using a Mac as much as you do. "The Daylight Saving Time Update for Mac OS X and Mac OS X Server addresses recent changes in the way Daylight Saving Time will be observed in the U.S. and Canada beginning in March 2007 and includes the latest time zone information for the rest of the world." PR: Ergotron announces the Neo-Flex Notebook/Projector Lift Stand. This first of its kind stand, with integrated lift and tilt capability, was designed to accommodate both notebooks and desktop projectors. Lift and tilt your notebook to eye level for ergonomic comfort and productivity. At home, make paying bills, searching the net or viewing photos easier by placing your screen where you can see it best. In the office, enhance productivity by pairing a notebook alongside an existing LCD to create a dual-display configuration. Get desktop computing comfort with notebook portability. The Neo-Flex Lift Stand was developed using Ergotron's Constant Force (CF) patent-pending lift-and-pivot motion technology. With little effort, you can lift and tilt your notebook screen up to six inches (15 cm) or swivel it side-to-side. "Notebook sales are increasing at an exceptional rate and it's our mission to develop innovative products that enhance the comfort and productivity of notebook users," said Neil Lien, Product Manager for Ergotron. "With the Neo-Flex Lift Stand, anyone in the home or office can easily position their notebook for maximum ergonomic comfort. 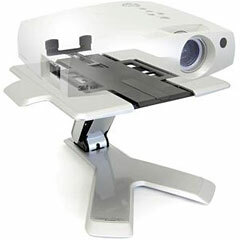 The design flexibility of this product also makes it ideal for desktop projector applications." Constant Force lift-and-pivot motion technology in wall and desk mount arms, stands, mobile carts, pivots and vertical lifts require less effort to achieve more motion, improving the user's experience when viewing any digital display for work or entertainment. Ergotron is a global company, with sales efforts headquartered in Saint Paul, Minnesota, Amersfoort, the Netherlands, and Singapore. 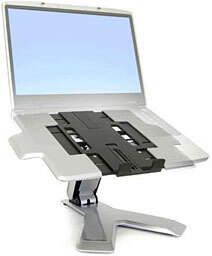 For more information about Ergotron or our products, please visit Ergotron.com or call Ergotron sales at 800.888.8458. PR: Nova Media GlobeTrotter Max 7.2 Ready includes launch2net software for Mac OS X. launch2net features an automated connection setup for an instant online experience. launch2net includes more than 300 connection settings for mobile network operators around the world, so you will not have to enter any connection details or define any modem scripts. launch2net includes more than 300 connection settings for instant online experience. Please check if your network is supported. Attention: HSDPA and 3G UMTS connections are not supported by this card in America. launch2net uses an easy, three step approach to a mobile data connection: attach. click. connect. Click: launch2net features an automated device and network recognition wizard for a hassle free setup. Save $20 when you combine Case-mate's handle-it laptop handle (regularly $49) with a Signature Sleeve. Our Sleeve is a form-fit leather case that your MacBook or MacBook Pro easily slides into and out of preventing dirt, dust and scratches from marring the surface. Made of Italian Pebblestone leather and an impact resistant shell. Add a handle-it to the mix and you've just made it easier to carry your MacBook or MacBook Pro! When in use, handle-it folds under your notebook doubling as a passive heat sink allowing your laptop to run cooler. Take $10 off the purchase price of any handle-it (regularly $49) when you add our super cool Glovez to the order! Made of perforated nylon on the outside and ultra-soft neoprene on the inside, Glovez are the no-bulk way to carry your 13", 15" or 17" in notebooks. The double Velcro closure provides much needed security. Glovez fit into most any briefcase, bag or backpack. Plus, the cutouts on the inside inside flap were created to accommodate the handle-it. This sale doesn't just apply to MacBooks and MacBook Pros! Want to protect your 15" PowerBook while allowing it to run cooler? Then pick up a handle-it laptop handle (regularly $49) to make carrying it around a breeze. Simply slide your PowerBook into one of the four color options on our Glovez and you're ready to hit the road knowing your notebook is well protected. Take protecting your iPod to the next level and save! With the purchase of any 1G or 2G iPod nano case or a Video case for your 30 GB or 60 GB/8 GB iPod you'll get extra, easy to apply screen protection for your screen and scroll wheel (regularly $14.99). Screen Protectors come in an economical 3-pack! This offer applies to our Signature line of cases (solid, vibrant colors in genuine leather), our Luxe line (genuine Swarovski crystals in colors that complement the 2G nano) and our Patriot line (Stare and Stripes or Camouflage). Super Savings! 1st Generation nano Price Cut! We've reduced the price on all 1st generation iPod nano cases. Any Signature leather case is now only $14.99. That's a $5 savings. Plus, the screen protection offer still applies. In other words, buy a 1G nano case for $14.99 and you'll still save $5 on a 3-pack supply of screen and scroll wheel protection. Sale lasts until March 20, 2007 or until supplies last. For more information on products and availability, visit the on-line store. Discount will be applied at checkout. PR: Most laptop backpacks have a generic, poorly fitting pocket inside. Spire knows how important your baby is to you, so they've made their protection system modular for a perfect fit. Spire's padded, removable Vertical Boot sleeve comes in 8 different sizes, so no matter how large or small your laptop, it's going to be snug and protected. Option without Boot is also available if you don't need it. Special Offer: Save up to $25 on Selected Backpacks! Compact size and light weight make the Zoom ideal for everyday use. Its sleek style complements the look of today's thin and light notebooks. Price Includes choice of Vertical Boot XXS - Medium. Wide and deep, but not bulky. A perfect choice for students or urban commuters who need to carry a lot of gear. Price Includes choice of Vertical Boot XXS - Large. Great for travel and commuting, the Volt XL offers extra height for widescreen computers (such as the 17" PowerBook). Price Includes choice of Vertical Boot XXS - 2XL. All new pack with 3 compartments, mesh water bottle pockets, padded waistbelt and more! Excellent choice for widescreen laptops. Price Includes choice of Vertical Boot XXS - 3XL. The biggest and baddest of them all. Great for travel and heavy loads, yet can still be compressed down to a slim size. Price Includes choice of Vertical Boot XXS - 4XL. PR: MaxProtect is an impact resistant carrying bag for MacBook Pro / PowerBooks and iBooks that provides maximum shock protection while carrying your computer. MaxProtect is made of Visco-Elastic Memory Foam which exhibits excellent resistance against impact and shock. Price: $26.99 to $28.99 depending on size. PR: Battery Health Monitor is a free utility for PowerBook, iBook, MacBook, and MacBook Pro owners that monitors virtual all battery health parameters and displays them in an easy-to-read format. New in version 1.1: Updated for compatibility with Intel Macs. PR: smcFanControl lets the user set the minimum speed of the build in fans. So you can increase your minimum fan speed to make your Intel Mac run cooler. However in order not to damage your machine scFanControl let's you not set minimum speed to a rate under Apple's defaults. In addition to that fans are still in automatic mode, so the speed of your fans will increase, if CPU load gets higher. Version 2.0 is a completely rewritten application. On portables you can autoapply different fan-settings, when the power source changes. So you can cool down your MacBook automatically when its loading the battery (and is typically running hotter). Free shipping and free MP3 sunglasses. For more deals on current or recently discontinued models, see our MacBook deals, 15" MacBook Pro deals, 17" MacBook Pro deals, 12" PowerBook G4 deals, 15" and 17" PowerBook G4 deals, titanium PowerBook G4 deals, iBook G4/deals, PowerBook G3 deals, and white iBook G3/deals.